The passage of time always leads to new technologies, especially in the area of telecommunications. Not many years ago it was wonderful to sit down as a family to enjoy sports event or listen to the news on the radio, today we want to enjoy the best audiovisual content. Quality is not the only thing we demand, but to enjoy our favorite content at the time that suits us best, we no longer want to be spectators only through television, but we want to use our mobile devices and other devices to enjoy our programs, series or favorite movies. This is possible thanks to IPTV, a system that offers television via the broadband internet (it is not internet TV, but uses it as a platform), far surpassing satellite TV or the most traditional cable TV. It connects with other devices such as Playstation 4, Xbox 360, and tablets. Vader Streams Channels are one of the main providers of IPTV Services, allowing its subscribers to enjoy more than 1000 channels framed in categories such as sports, premium, movies or American, Canadian, and British content, among others. They also offer technical service (only in the United States) and quite accessible packages for any type of client. 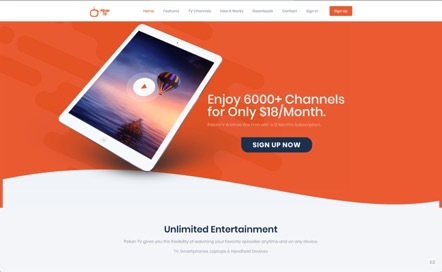 It is an advantage to have a service that allows you to enjoy your favorite content with only an internet connection. So we decided to find out other alternatives of IPTV subscription providers. This IPTV service operator offers its subscribers around 6300 channels, which include channels originating in various countries in the Americas, Asia, and Europe. Such services can be obtained through 59 different servers, needing an only internet connection. PekanTV can be cataloged as a best-paid IPTV thanks to the fact that they offer an excellent quality service, affirming in its official website that they are the fastest provider in Canada, the United States, and the United Kingdom. To complete an affiliation, after making the payment, you receive an email with your username and password, which you can use from your TV, tablet or Android smartphone. Not yet available for iOS devices and PC or Mac computers. XstreamingTV aims to dispense a highly efficient signal, with more than half of its channels in HD quality. Thanks to the player available on the web, 4 live sporting events can be viewed simultaneously, ideal for those who like to have a good time with their friends and enjoy the sport they like at the same time. Besides, its Video on Demand service has more than 14,000 files, including TV series, movies, documentaries, programs and much more. 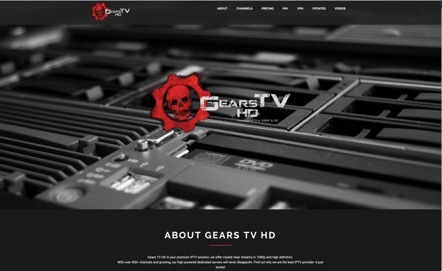 In the case of Gears TV, its objective does not aim to offer as many channels as possible, but the best quality. That’s why they only have more than 400 channels, although they are making an effort to increase the number. Thanks to its IPTV legal rating, they are focused on delivering high performance with their dedicated, 10 Gigabit Massive servers. Another factor that intervenes is its load balancers, which optimize traffic to keep you connected day and night without problems. In addition, they also have a technical service with extensive experience and a customer service system ready to attend at any time of the day, thanks to these factors there are really no problems that you cannot solve immediately. Deciding on TV Stream Now as IPTV subscription providers is a good decision if you want to get a balanced IPTV service; that is, one that does not offer an exaggerated amount of channels and, at the same time, involves a good variety of entertainment options. You can also connect up to 4 devices using the same subscription, which is an advantage over other companies that allow you to connect only one device. Also, they have a technical service online on their website that can help you at any time of day without requiring your telephone line. This provider can be recommended if you are looking for a huge amount of channels, but you also want to pay little for them. In addition, you can enjoy a package that offers a quality of up to 2160p, resolution that few suppliers are able to guarantee. Another advantage is that this is one of the few IPTV Services that has a Live Chat system to obtain technical assistance on any problem. Besides, if you are not happy with the service you can cancel your subscription before 48 hours have passed since the purchase of the service; and if you do not need to use both devices simultaneously, you can use the reseller program to take advantage of that device without use. 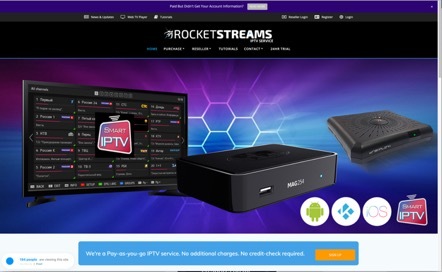 Rocketstream claims to be the best IPTV subscription provider in the world, and their services do are reliable and of high quality, offering an enviable amount of channels and videos on demand at a price that few can match. You can enter simultaneously with up to three devices, so you can share it with your family or use the reseller program and take advantage of your subscription. Thanks to the optimization of the use of technology today we can enjoy the audiovisual content of the best quality and from places that we never thought would be possible. IPTV brings you the alternative of accessing such content from your cell phone, tablet, computer, Kodi, and many other devices. 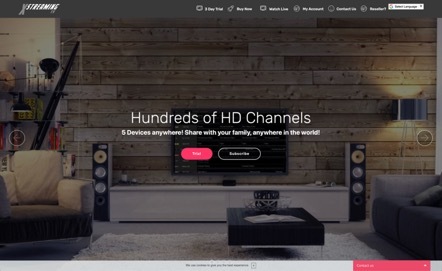 Among the options that we have presented, we can say that, if you are looking for the most channels or if you are not from the US, perhaps the best option for you is PekanTV because it has more than 6000 channels from all over the world. If you prefer quality over quantity, then you Gears TV is an adequate idea for offering a first class service and specialized technical support. 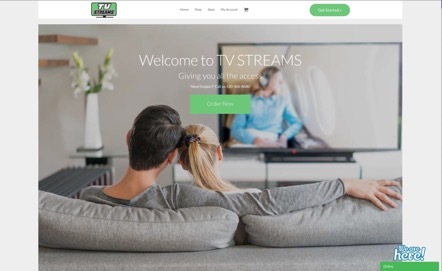 On the other hand, for lovers of series, the ideal option would be XstreamingTV, since they have more than 14,000 videos on demand (also movies and programs). Keep in mind these options, and be sure to hire a legal IPTV, as it has become common for people to create illegal services of this type. Now go! And enjoy your best shows online!